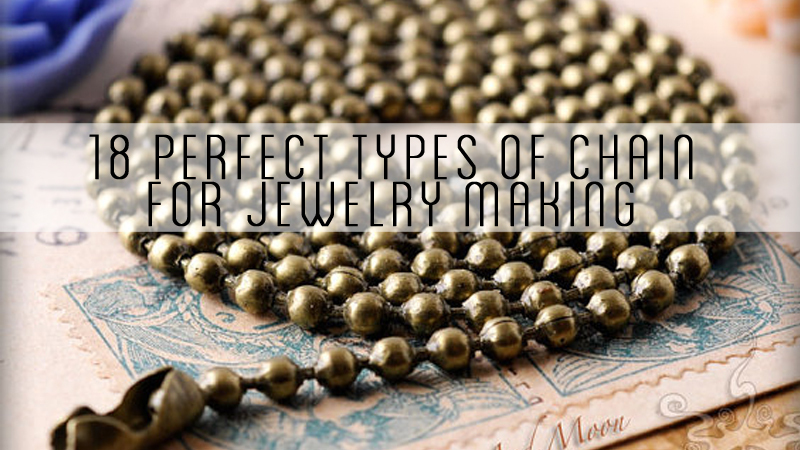 With a multitude of beautiful handmade jewelry to wear, finding the right jewelry display idea to store them at is equally important to enjoying your pieces anytime you want. No matter the size of your storage area, here is a look at more than a dozen beautiful jewelry display ideas you can make yourself or implement right away to give your newly created pieces a new home. For a small and fashionable earring display, take a frame and attach some picture wire across to drop your earrings on. 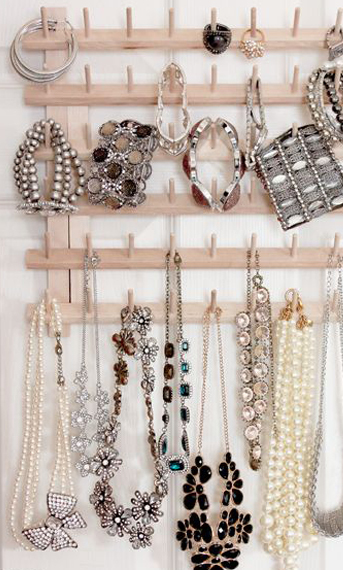 This is the perfect earring display for those pairs you keep finding yourself going to and wearing all the time. 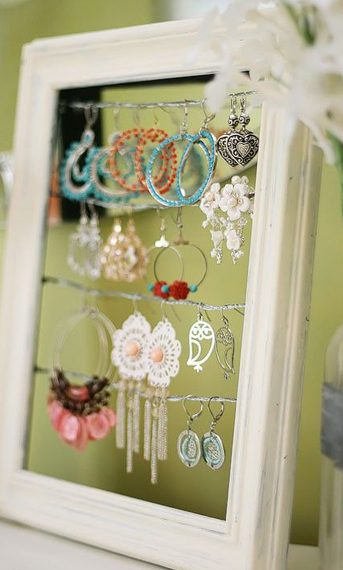 Add layers to this display option by hanging a variety of colorful earrings of varying lengths. 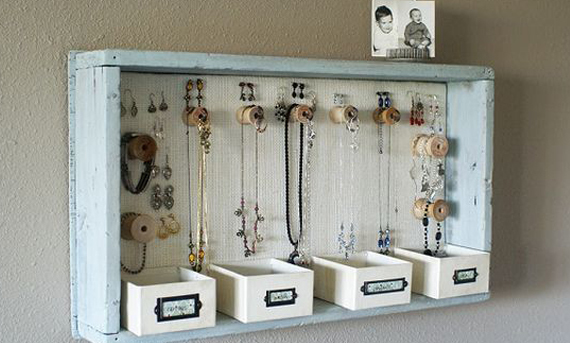 Take a tray or use some scrap wood to create this hanging shelf with small trays for displaying your jewelry on. This handmade shelf was made with wooden thread spools for attaching necklaces and bracelets on with a mesh background for earrings that can be easily hung on. The use of additional trays left on the bottom is a perfect option for rings and other accessories you want in easy reach. 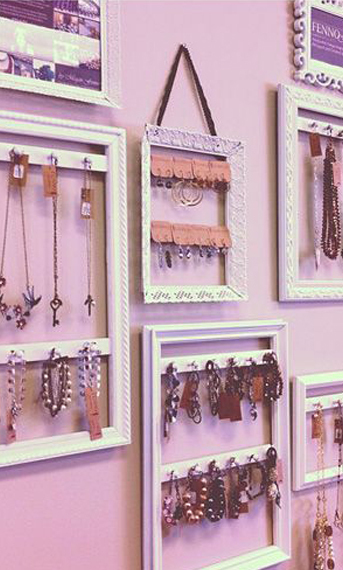 Convert your jewelry display into fashionable decor by creating a frame gallery across your wall. 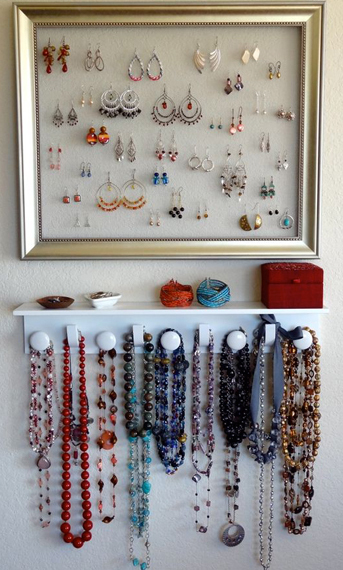 Use different colors for the frames and a variety of styles and sizes to display your jewelry on. 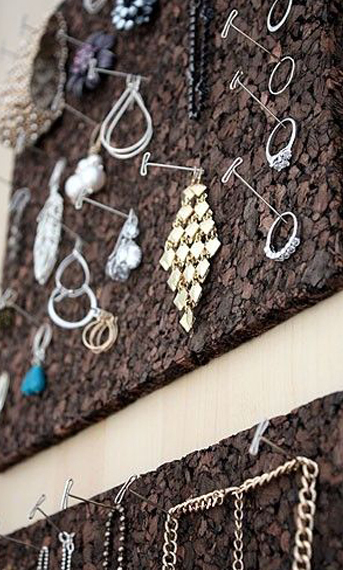 Use wire or thin wood pieces with hanging hooks to attach your pieces to. 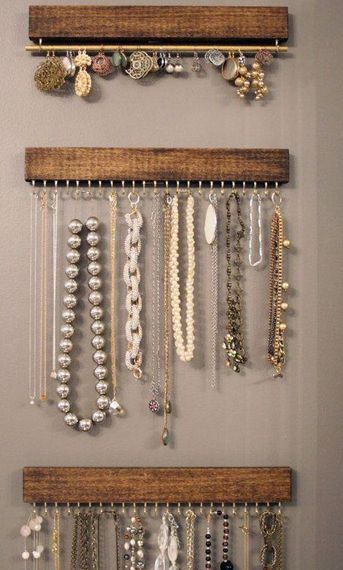 Get unconventional and attach modern hardware to a burlap wrapped board to display your pieces from. Turn finger cup handles upside down to drop pieces in and use knobs and handles for hanging earrings and necklaces from. Decorate your display further by wrapping ribbon around or adding color to the burlap by painting. Create a display piece for your necklace in some of the most underutilized space of your bathroom, on the side of your cabinet or inside the door. 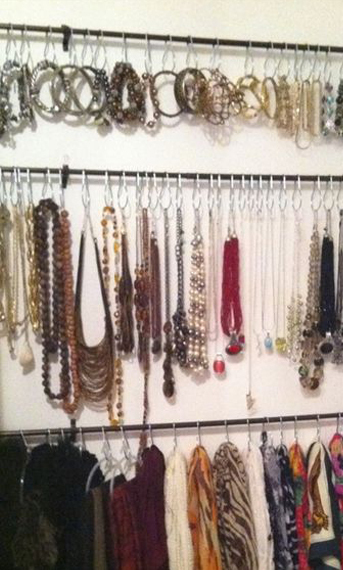 Simply attach some screw eye hooks and a small piece of wood to hang your colorful necklaces from in groupings. If you enjoy a more traditional and elegant display, take a mirror tray and add small plates and pedestal vases to lay your jewelry about. 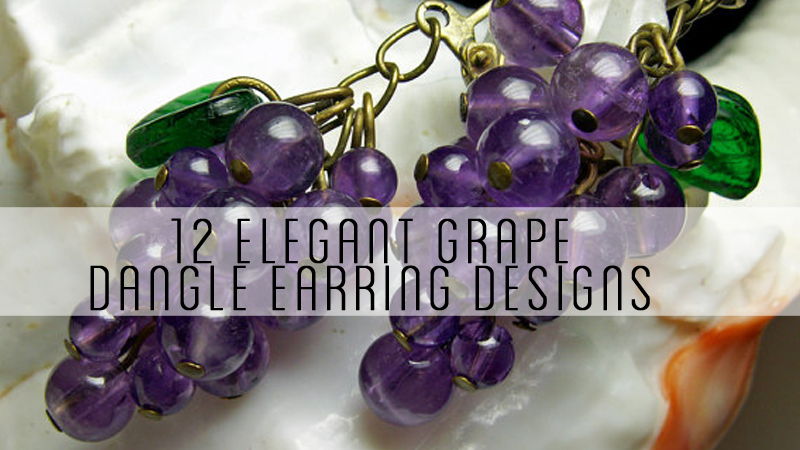 This is a great solution for many of your regularly worn accessories, adding a touch of chic elegance to your area. 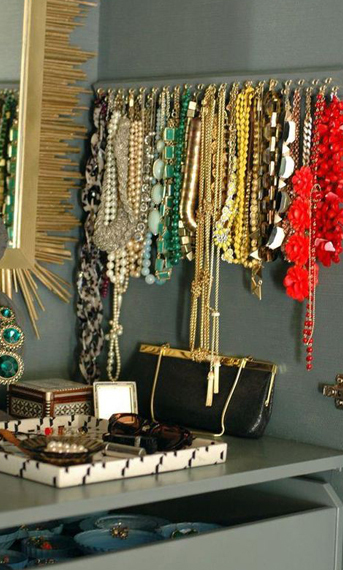 This bold jewelry display is a perfect example of combining color and boldness to hang jewelry from. Attach hardware to the back and sides to extend your space. This can be hung up on the wall or stand upright on your dresser or shelf top. 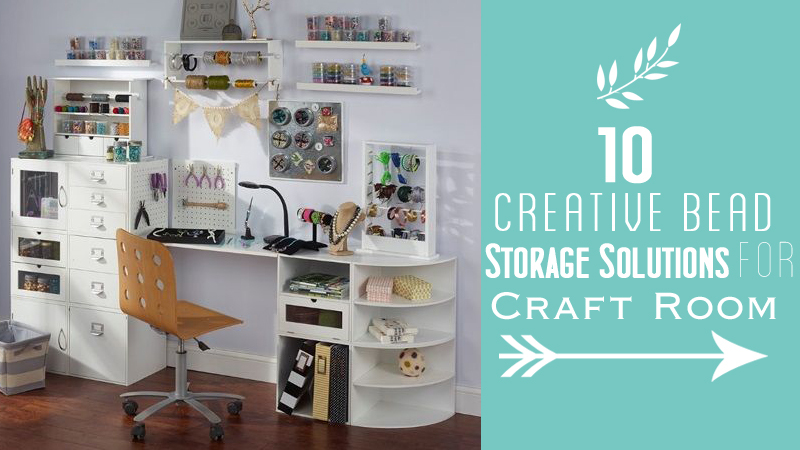 It doesn’t take much space to create a center for all your accessories and jewelry. Here is one inspiring image that shows how you can use wall space and display stands to organize and display your pieces while adding a center mirror to view yourself in. Grab a thread display and attach it to the wall for some quick, inexpensive, and functional ways to hang your bracelets and necklaces from. This is a perfect idea for the grab on the go type of person that wants an easy stand to store her pieces in reach. Coordinate your jewelry items with other accessories such as scarves or head wraps by using a multi purpose display such as this one. With a mesh backdrop for earrings and shelf for other pieces, a bar and hooks added to the bottom give a perfect solution to store wraps and other coordinating pieces. This is a great display to use and change out each season to keep your items easily accessible and viewable. 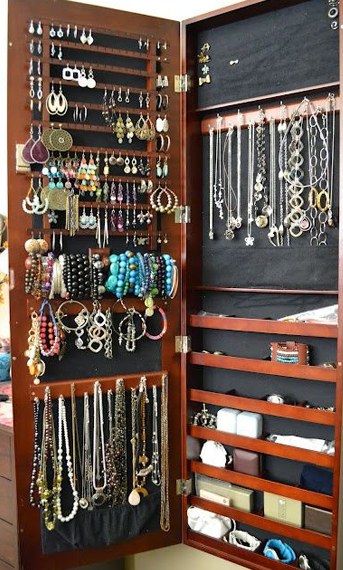 One of the best storage solutions for jewelry and accessories is to look for underutilized space. 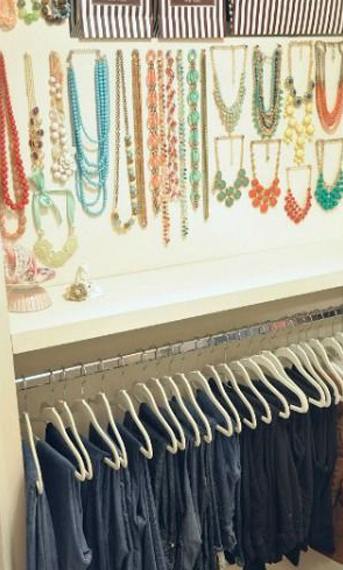 In this closet, the wall is not being used and serves as a perfect fit for jewelry to hang from. 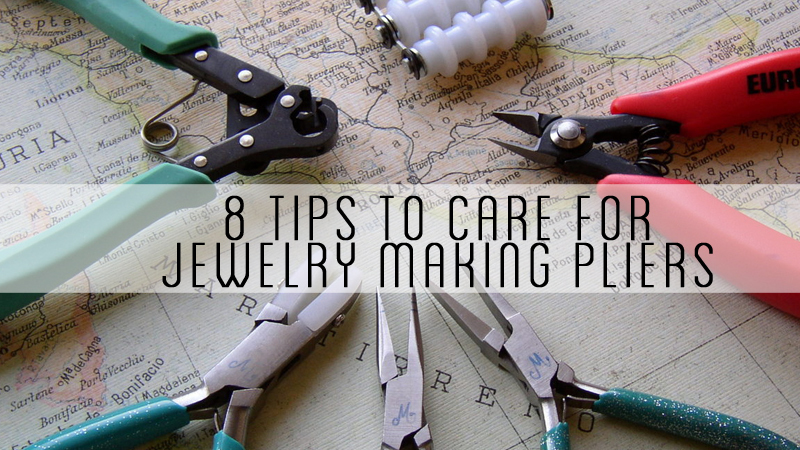 This can make it easier to see your jewelry and pick them out to match your outfit at the same time. Look for any easily accessible nook or cranny in your home to expand your storage ideas. 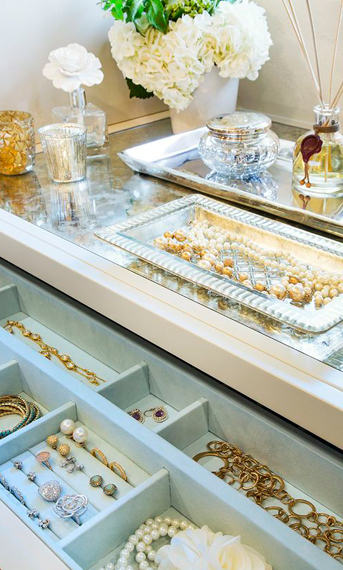 If you want to keep your tabletop and counter space clear, use dividers to store your jewelry in the drawers. 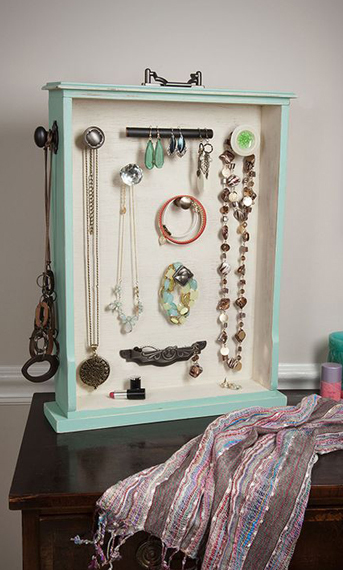 With this idea, a simple tray on top makes a perfect grab and go solution for transitioning pieces and the drawer keeps your less frequently used jewelry stored but still within reach. 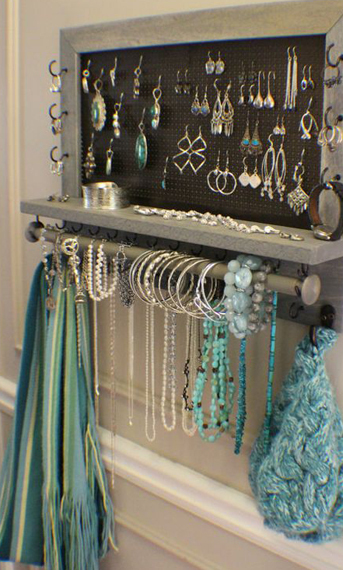 Keeping your jewelry display organized and standard in design is a great way to keep your pieces within easy reach. With this bar display, small slates of wood are stained with added hooks and dowel rod to hang your pieces from. This is a great idea for anyone that wants to colorize their displays or add some extra touches onto the wood. 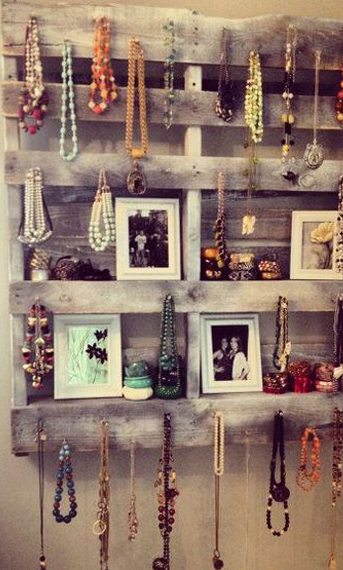 There are so many uses for reusing a pallet, converting it into a jewelry display is just one more way to create your own personalized storage. With just nails or hooks, sporadically hanging your pieces on the thickened pieces or wood and use the shelf space for stacking other accessories or displaying picture frames on. 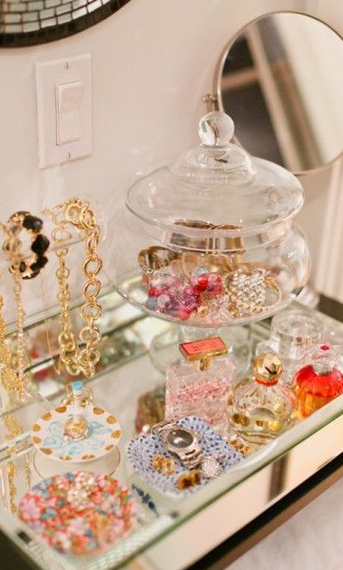 Hidden storage is a great idea to conceal your jewelry pieces if you choose not to keep them on an open display. A mirror wall unit allows you to use your storage pieces in two ways. 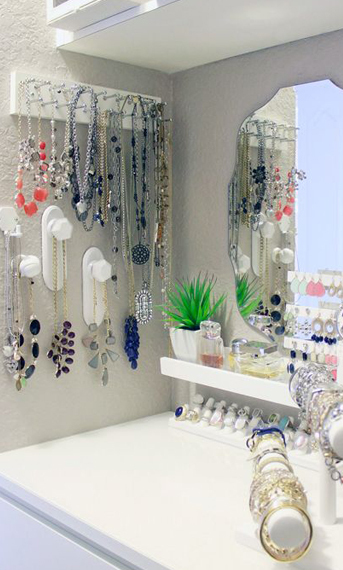 Keep your pieces organized by type and have a mirror to view yourself in when you are putting them on. This is a great solution for anyone that has a lot of pieces or store or want to keep your room looking neat and minimalist. For a cheap and easy solution, attach curtain walls to a wall space in your closet and hang scarves, bracelets, and necklaces from them on hooks. 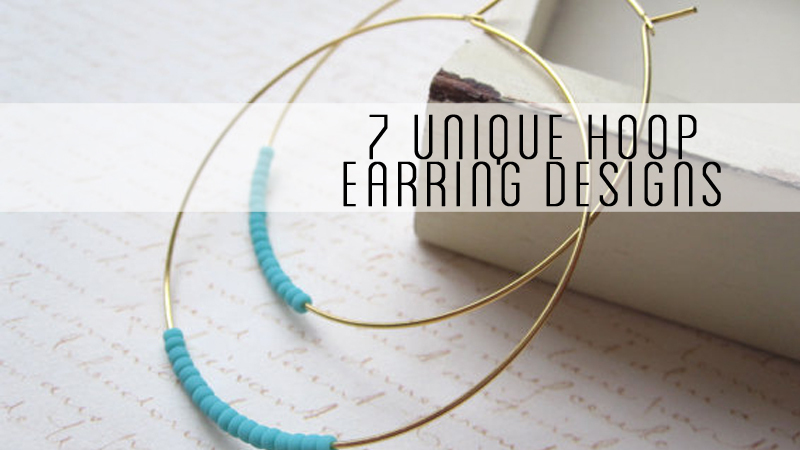 This is perfect for an ever expanding jewelry collection and where pieces can be in easy reach and near the outfits you will be coordinating with. It is a perfect multi purpose solution for many. Cork board is inexpensive and can be found in any office store. Grab yourself a four pack of cork squares and mount them to your wall, using pieces to hang your pieces from. This is a perfect solution for many that may want to change around their jewelry display and switch out frequently worn pieces for quick access. 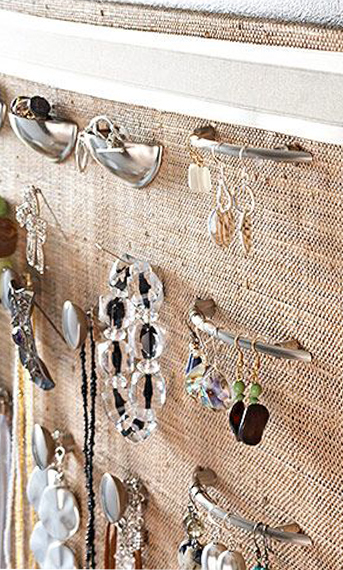 Turn your jewelry display into wall art and decor by layering multi purpose storage options. In this example a frame with foam backing is used to attach earrings to with a shelf and coat rack for hanging thick chunky bracelets and necklaces on. This is great for people that want to use the color and texture of their pieces to add a nice decorative element to their room while creating a functional storage piece.